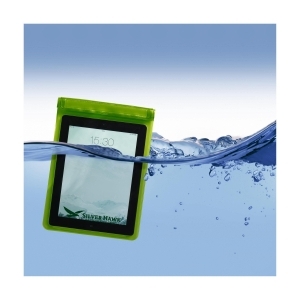 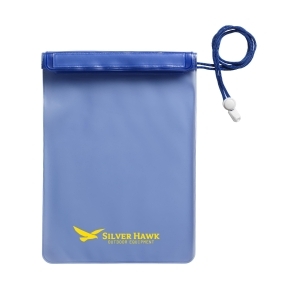 Waterproof pouch made from strong PVC for the safe storage of a tablet (up to 10 inches) Extra secure snap fastening with velcro fastener and lanyard. 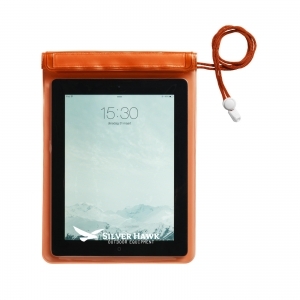 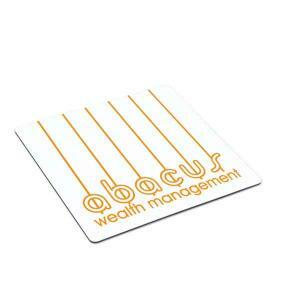 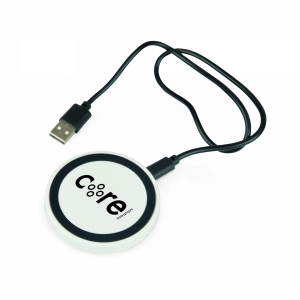 Protects the tablet and important documents from water and snow. To order an unprinted Waterproof XL pouch, please complete the details below.